In Pleiadian Initiations of Light, Christine Day offers her renowned healing energy work, enabling readers to birth a new self, free of fear and pain, no matter where they are on their lives� paths. Through these steps and initiations, you will be empowered to access personal answers and make positive, healing changes in your life. Whether you are a beginner or a more experienced energy worker, Day coaches you through each step, teaching you the physical, emotional, and spiritual components of each initiation. 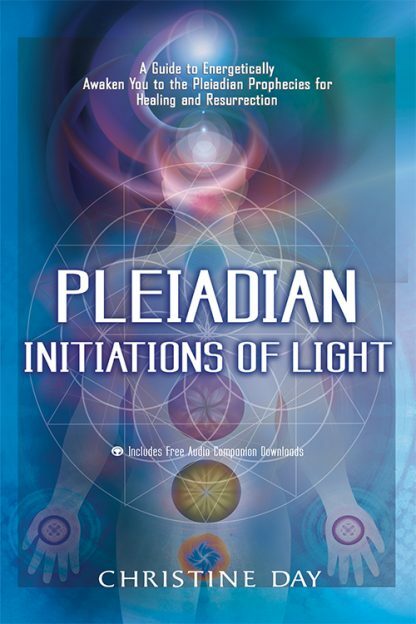 Pleiadian Initiations of Light gives you a direct connection to the Pleiadians and a direct experience with them. You have the opportunity to work first-hand with some basic Pleiadian processes and to begin to form your own personal relationship with them. This book holds unique energies that are transmitted to you for your initiation. As human beings we are �perfectly imperfect.� This is the only book that holds these frequencies of initiation and makes it possible for you to awaken through them. With Day�s guidance, you will learn how to access answers for yourself, and more importantly, how to make real changes in your life. Christine Day, known as the Pleiadian Ambassador for the planet, has been an internationally renowned spiritual teacher, healer, and channeler for 25 years. She is the author of Pleiadian Initiations of Light and Pleiadian Principles for Living. Day is fulfilling her mission to bring the teachings, channeled messages, and information from the Pleiadians in order to awaken humanity, through her live transmissions, seminars, and online classes. She currently lives in Grand Marais, Minnesota. For more information go to ChristineDayOnline.com.